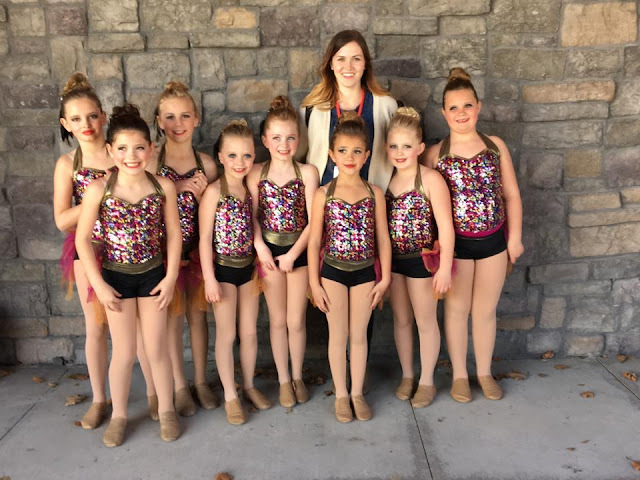 On Saturday Hannah participated in her first dance competition at Thanksgiving Point. 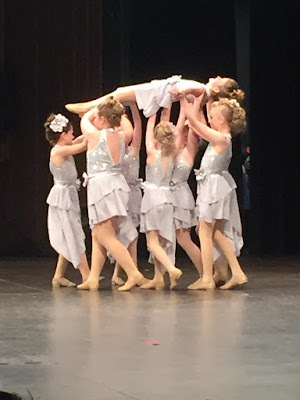 We debated back and forth whether or not we should put her in the competition team, but Hannah loves to dance and she needed to do something hard, so we went for it. She has loved every minute and never complains about the practices every week. She was not nervous at all and could not understand why her team was, I tried to explain that not everyone was like her and as soon as she puts her mind to something there is no stopping her. 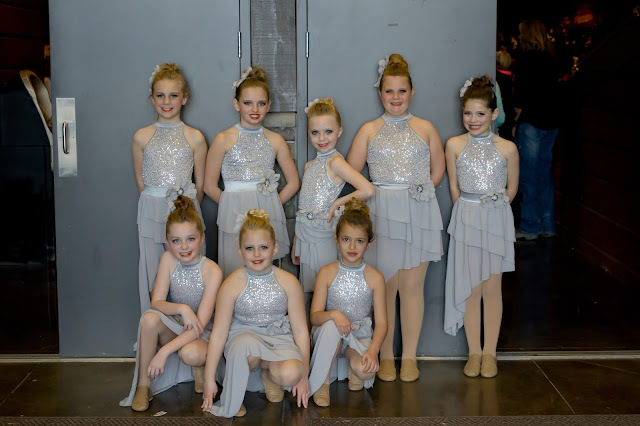 Their first routine was their Jazz routine and they did so good, you never would have known it was any of their first competition. Hannah came off stage with a huge smile on her face telling me should couldn't wait for their next routine, Lyrical. 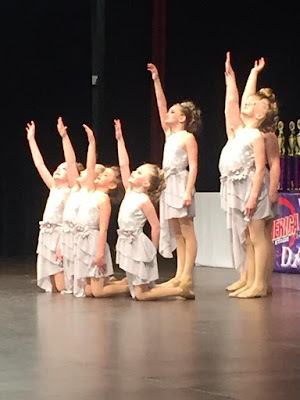 Lyrical was also amazing and they ended up getting overall team in Lyrical, which is a really big deal for a team who has never competed before. We are all so proud of their hard work and grateful for good coaches. They told us that as soon as the girls came off the stage they were all hugging and telling each other good job. They are just the best group of girls and I am happy we decided to have Hannah join.